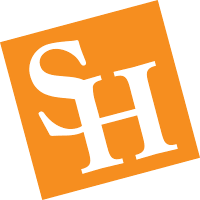 The College of Criminal Justice at Sam Houston State University is one of the oldest and most prestigious programs in the nation. The undergraduate major in Homeland Security Studies introduces students to the broad theory and mission of homeland security and some of the specialty areas that have developed to protect the public against natural and manmade disasters. Homeland Security Studies is a new discipline that emerged as a result of the terrorist attacks of September 11, 2001 and has expanded to include a wide variety of security and public safety areas. The broad educational objective is to develop thinkers, analysts, managers, and leaders who possess expertise in both theoretical and experiential dimensions of homeland security. For greater convenience and ease of access, the program is offered online only. The Bachelor of Science has some flexibility in the curriculum allowing for degree specific electives in the social sciences, while the Bachelor of Arts requires additional hours of a foreign language (e.g., Spanish, French, American Sign, etc.). Global Terrorism and Homeland Sec. Public Health in Homeland Sec.